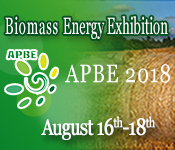 On behalf of Organizing Committee, we would like to invite all the participants from all over the world to attend “13th World Congress on Biofuels and Bioenergy” during August 26-27, 2019 in Vienna, Austria, which includes prompt keynote presentations, Oral talks, Poster presentations, and Exhibitions. Biofuels and Bioenergy biofuel is a fuel that is produced through contemporary biological processes, such as agriculture and anaerobic digestion, rather than a fuel produced by geological processes such as those involved in the formation of fossil fuels, such as coal and petroleum, from prehistoric biological matter. Biofuels can be derived directly from plants, or indirectly from agricultural, commercial, domestic, and/or industrial wastes. Renewable biofuels generally involve contemporary carbon fixation, such as those that occur in plants or microalgae through the process of photosynthesis. Bioenergy is renewable energy made available from materials derived from biological sources. Biomass is any organic material which has stored sunlight in the form of chemical energy. As a fuel, it may include wood, wood waste, straw, manure, sugarcane, and many other by-products from a variety of agricultural processes. Bioenergy and biofuels are recognized globally as crucial elements of the future energy matrix, without which the reduction in greenhouse gases needed to reduce the acceleration of global warming and climate change will not be achievable. Yet, in 2012 the oil-equivalent production of biofuels was less than 2% of the amount of oil produced from geological reserves. The series Green Chemistry and sustainable Technology is intended to provide an accessible reference resource for postgraduate students, academic researchers and industrial professionals who are interested in green chemistry and technologies for sustainable development. 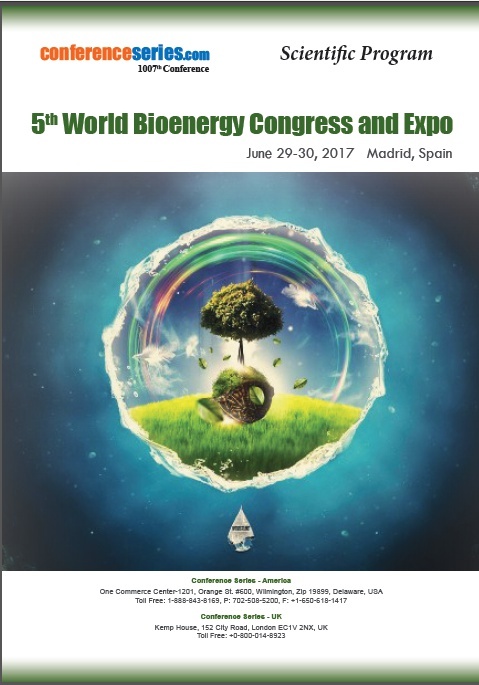 13th World Congress on Biofuels and Bioenergy is exclusively designed for Biofuels Researchers, Bioenergy Scientists, Biofuels and Bioenergy organizations, Biofuels Professors, Bioenergy Doctors and others engaged in endeavors related to Biofuels and Bioenergy research and business. Advanced biofuels are fuels that can be processed from numerous types of biomass. First generation biofuels are processed from the sugars and vegetable oils formed in arable crops, which can be smoothly extracted applying conventional technology. In comparison, advanced biofuels are made from lignocellulosic biomass or woody crops, agricultural residues or waste, which makes it tougher to extract the requisite fuel. Advanced biofuel technologies have been devised because first generation biofuels manufacture has major limitations. First generation biofuel processes are convenient but restrained in most cases: there is a limit above which they cannot yield enough biofuel without forbidding food supplies and biodiversity. Many first generation biofuels rely on subsidies and are not cost competitive with prevailing fossil fuels such as oil, and some of them yield only limited greenhouse gas emissions savings. When considering emissions from production and transport, life-cycle assessment from first generation biofuels usually approach those of traditional fossil fuels. Advanced biofuels can aid resolving these complications and can impart a greater proportion of global fuel supply affordably, sustainably and with larger environmental interests. Renewable energy is energy that is collected from natural sources that replenish themselves over short periods of time, renewable energy resources exist over wide geographical areas. Rapid deployment of renewable energy and energy efficiency is resulting in significant energy security, climate change mitigation, and economic benefits. While many renewable energy projects are large-scale, renewable technologies are also suited to rural and remote areas and developing countries, where energy is often crucial in human development. Electricity can be converted to heat (where necessary generating higher temperatures than fossil fuels), can be converted into mechanical energy with high efficiency and is clean at the point of consumption. In addition to that electrification with renewable energy is much more efficient and therefore leads to a significant reduction in primary energy requirements, because most renewables don't have a steam cycle with high losses (fossil power plants usually have losses of 40 to 65%). Renewable energy systems are rapidly becoming more efficient and cheaper. Their share of total energy consumption is increasing. Growth in consumption of coal and oil could end by 2020 due to increased uptake of renewables and natural gas. Renewable energy flows involve natural phenomena such as sunlight, wind, tides, plant growth, geothermal heat and biofuels and hydrogen derived from renewable resources. It would also reduce environmental pollution such as air pollution caused by burning of fossil fuels and improve public health, reduce premature mortalities due to pollution. Society of Agricultural and Biological Engineers, America, American Chemical Society, America, Belgian Society of Biochemistry, Belgium, Canadian Society for Chemical Technology, Canada, Chinese-American Chemical Society, China, Biochemical Society, Belgium, Danish Chemical Society, Denmark, Korean Chemical Society, Korea, Norwegian Chemical Society, Norway, Society for Chemical Engineering, North America, European Society of Biochemical Engineering Sciences, Europe, Society of Chemical Engineers, New Zealand, Nigerian Society of Chemical Engineers, Africa, Israel Institute of Chemical Engineers, Israel, French Society of Process Engineering, France. Biomass is organic matter extracted from living, or recently living organisms. 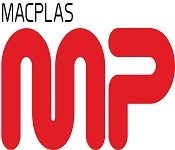 Biomass can be utilized as a source of energy and it most often directs to plants or plant-based matter which are not used for food or feed, and are precisely called lignocellulosic biomass. As an energy source, biomass can either be used directly via combustion to produce heat, or secondarily after transforming it to numerous forms of biofuel. Conversion of biomass to biofuel can be attained by various methods which are mainly categorized into: thermal, chemical, and biochemical methods. Biomass is a renewable source of fuel to yield energy since waste residues will always prevail – in forms of scrap wood, mill residuals and forest resources and properly directed forests will always have additional trees, and we will invariably have crops and the unconsumed biological matter from those crops. Algae fuel or algal biofuel is a substitute to liquid fossil fuels that utilizes algae as its source of energy-rich oils. Also, algae fuels are a substitute to common known biofuel sources, such as corn and sugarcane. 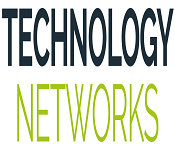 Various companies and government agencies are sponsoring efforts to reduce capital and operating costs and make algae fuel production commercially feasible. Like fossil fuel, algae fuel releases CO2 when burnt, but unlike fossil fuel, algae fuel and other biofuels only release CO2 recently withdrawn from the atmosphere via photosynthesis as the algae or plant grew. The energy crisis and the world food crisis have sparked interest in algaculture (farming algae) for making biodiesel and other biofuels utilizing land unbefitting for agriculture. Among algal fuels' attractive characteristics are that they can be cultivated with negligible impact on fresh water resources, can be generated using saline and wastewater, have a high flash point, and are biodegradable and comparatively harmless to the environment if spilled. Algae cost more per unit mass than other advanced biofuel crops due to high capital and operating costs, but are declared to generate between 10 and 100 times more fuel per unit area. Biodiesel indicates an animal fat-based or vegetable oil diesel fuel comprising of long-chain alkyl (methyl, ethyl, or propyl) esters. Biodiesel is customarily made by chemically reacting lipids (e.g., soybean oil, vegetable oil, animal fat (tallow)) with an alcohol generating fatty acid esters. Biodiesel is suggested to be utilized in standard diesel engines and is thus well-defined from the vegetable and waste oils used to operate fuel converted diesel engines. Biodiesel can be used singly, or blended with petrodiesel in any proportions. Biodiesel blends can also be utilized as heating oil. Biogas commonly refers to a mixture of various gases formed by the disintegration of organic matter in the absence of oxygen. Biogas can be manufactured from raw matters such as agricultural waste, municipal waste, manure, plant material, green waste, sewage or food waste. Biogas is a renewable energy source and in diverse cases exerts a limited carbon footprint. Biogas can be manufactured by fermentation of biodegradable materials or anaerobic digestion with anaerobic organisms, which disintegrates material inside an isolated system. Biogas is basically methane (CH4) and carbon dioxide (CO2) and may have small traces of hydrogen sulfide (H2S), siloxanes and moisture. The gases methane, carbon monoxide (CO) and hydrogen can be combusted or oxidized with oxygen. This energy yield allows biogas to be benefitted as a fuel; it can be utilized for any heating purpose, such as cooking. It can also be practiced in a gas engine to transform the energy in the gas to electricity and heat. Several technologies for converting bioenergy are commercial today while others are being piloted or in research and development. There are four types of conversion technologies currently available, each appropriate for specific biomass types and resulting in specific energy products such as Thermal Conversion, Thermochemical conversion, Biochemical conversion, Chemical conversion. 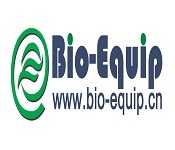 The Biomass Technologies include Liquid Biofuels from Biomass and Cellulosic Ethanol from Biomass. Biologically synthesized alcohols, most frequently ethanol, and rarely propanol and butanol, are formed by the reaction of microorganisms and enzymes through the fermentation of sugars or starches, or cellulose. Biobutanol (also called biogasoline) is often asserted to provide a direct stand-in for gasoline, because it can be used precisely in a gasoline engine. Ethanol fuel is the most widely used biofuel worldwide. Alcohol fuels are formed by fermentation of sugars derived from wheat, sugar beets, corn, molasses, sugar cane and any sugar or starch from which alcoholic liquors such as whiskey, can be produced (such as potato and fruit waste, etc.). The ethanol manufacturing methods applied are enzyme digestion (to release sugars from stored starches), distillation, fermentation of the sugars and drying. Ethanol can be used in petrol engines as a substitute for gasoline; it can be blended with gasoline to any concentration. Current car petrol engines can operate on mixes of up to 15% bioethanol alongwith petroleum/gasoline. Ethanol has lesser energy density than that of gasoline; this implies that it takes more fuel to generate the same amount of work. An asset of ethanol is it’s higher octane rating than ethanol-free gasoline accessible at roadside gas stations, which permits the rise of an engine's compression ratio for increased thermal efficiency. In high-altitude locations, some states direct a mix of gasoline and ethanol as a winter oxidizer to lower atmospheric pollution emissions. Bioenergy is renewable energy made accessible from materials acquired from biological origin. Biomass is any organic matter which has deposited sunlight in the form of chemical energy. As a fuel it may comprise wood, straw, wood waste, sugarcane, manure, and many other by-products from different agricultural processes. In its most exclusive sense it is a synonym to biofuel, which is fuel obtained from biological sources. 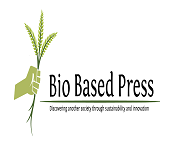 In its wider sense it includes biomass, the biological matter utilized as a biofuel, as well as the social, scientific, economic and technical fields related with utilizing biological sources for energy. This is a common misbelief, as bioenergy is the energy cultivated from the biomass, as the biomass is the fuel and the bioenergy is the energy stored in the fuel. Biohydrogen is described as hydrogen produced biologically, most often by algae, bacteria and archaea. Biohydrogen is a potential biofuel attainable from both cultivation and from waste organic materials. Recently, there is a huge demand for hydrogen. There is no record of the production volume and use of hydrogen world-wide, however utilization of hydrogen was predicted to have reached 900 billion cubic meters in 2011.Refineries are large-volume producers and consumers of hydrogen. Today 96% of all hydrogen is extracted from fossil fuels, with 48% from natural gas, 30% from hydrocarbons, 18% from coal and about 4% by electrolysis. Oil-sands processing, gas-to-liquids and coal gasification projects that are existing, require a vast amount of hydrogen and is presumed to raise the requirement notably within the next few years. Environmental regulations administered in most countries, increase the hydrogen demand at refineries for gas-line and diesel desulfurization. A significant future aspect of hydrogen could be as a replacement for fossil fuels, once the oil deposits are exhaustede. This application is however dependent on the advancement of storage techniques to enable proper storage, distribution and combustion of hydrogen. If the cost of hydrogen generation, distribution, and end-user technologies decreases, hydrogen as a fuel could be penetrating the market in 2020.Industrial fermentation of hydrogen, or whole-cell catalysis, requires a finite amount of energy, since fission of water is accomplished with whole cell catalysis, to reduce the activation energy. This permits hydrogen to be manufactured from any organic matter that can be copied through whole cell catalysis as this process does not rely on the energy of substrate. A biorefinery is a center that melds biomass conversion processes and equipment to manufacture fuels, power, heat, and chemicals from biomass. The biorefinery concept is parallel to today's petroleum refinery, which makes various fuels and products from petroleum. Biorefining is the sustainable conversion of biomass into a spectrum of bio-based products and bioenergy. By producing various products, a biorefinery takes advantage of the various parts in biomass and their intermediates therefore maximizing the value acquired from the biomass feedstock. A biorefinery could, for instance, manufacture one or several low-volume, but high-value, chemical or nutraceutical products and a low-value, but high-volume liquid transportation fuel such as biodiesel. At the same time generating electricity and process heat, by combined heat and power (CHP) technology, for its own use and perhaps adequate for sale of electricity to the local utility. The high-value products boost profitability, the high-volume fuel helps meet energy needs, and the power production aids to lower energy costs and minimize greenhouse gas emissions from conventional power plant facilities. Although some facilities prevail that can be called bio-refineries, the bio-refinery has yet to be fully accomplished. Future biorefineries may play a vital role in yielding chemicals and materials that are traditionally extracted from petroleum. Food versus fuel is the plight regarding the risk of distracting farmland or crops for biofuels production to the drawback of the food supply. The biofuel and food price debate concerns wide-ranging views and is an abiding, controversial one in the literature. There is a conflict about the sense of the issue, what is creating it, and what can or should be rendered to remedy the situation. This intricacy and uncertainty is due to the wide number of concussion and criticism loops that can positively or negatively affect the price system. Furthermore, the relative strengths of these positive and negative impacts change in the short and long terms, and implicate delayed effects. The academic side of the debate is also obscured by the applicability of different economic models and competing forms of statistical analysis. Aviation biofuel is a biofuel utilized for aircraft. It is reckoned by some to be the paramount means by which the aviation industry can diminish its carbon footprint. After a multi-year technical analysis from aircraft makers, engine manufacturers and oil companies, biofuels were advocated for commercial use in July 2011. Since then, some airlines have evaluated with using of biofuels on commercial flights. The limelight of the industry has now curved to advanced sustainable biofuels (second generation sustainable aviation fuels) that do not compete with food supplies nor are major consumers of prime agricultural land or fresh water. 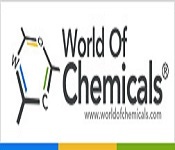 Green chemistry, is an area of chemistry and chemical engineering focused on the creating and designing of products and processes that minimize the use and generation of hazardous substances.it still maintain economic growth and opportunities while providing affordable products and services to a growing world population. Biofuels have been progressively explored as a probable alternative source of fuel and serve a key target for the future energy market that can play a vital role in preserving energy security. As the only direct substitute for fossil fuels, biofuels continue to grow in importance, despite a significant slowdown in investment. 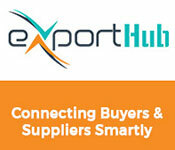 International trade remains active, with dynamic growth from the major exporting countries. 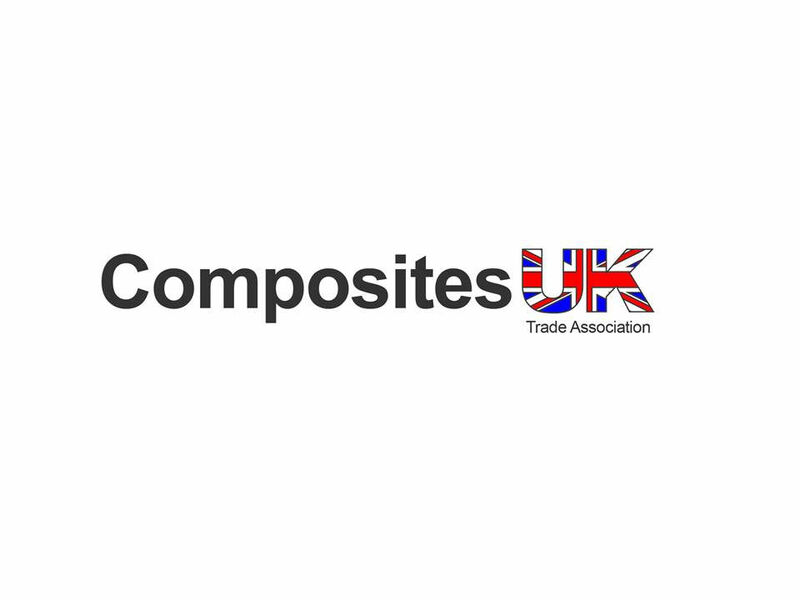 However, current production technologies will very soon come up against the limits of resource availability, raising important questions regarding the ability to meet incorporation targets for 2021, especially in Europe and the USA. The contribution of different biofuels to reducing fossil-fuel consumption varies widely when the Bioenergy used as an input in their production is also taken into account. The Bioenergy balance of a biofuel depends on factors such as feedstock characteristics, production location, agricultural practices and the source of energy used for the conversion process. In 2010, worldwide biofuel production reached 105 billion liters (28 billion gallons US), up 17% from 2009, and biofuels provided 2.7% of the world’s fuels for road transport. Europe was the leading biodiesel market in 2009 with a production share of 49.8%, followed by the Americas with a production share of 32.8% and the Asia Pacific with a share of 4.4%. The European share in biodiesel production has been declining since 2001, while the share of the Americas and the Asia Pacific increased. The US is the second largest producer of biodiesel in the world, producing 17.7% of the world’s biodiesel in 2009. The biodiesel market in the US is expected to reach 2,822 million liters in 2010 and 6,453 million liters in 2020. However, of all the renewable sources of energy, biomass is unique in that it is effectively stored solar energy. It is also the only renewable source of carbon and can be processed into convenient solid, liquid, and gaseous fuels. The biomass market suffered during the economic downturn in the face of low coal prices, logistic barriers and supply issues. The year 2010 saw more movement in the sector as coal prices are beginning to rise once again making co-firing coal plants with biomass more attractive. 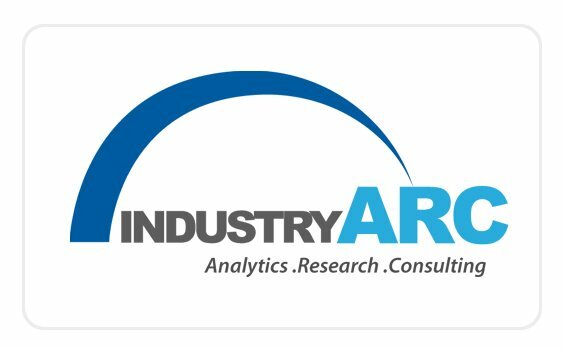 CIS countries like Russia, Australia, and South Africa have entered as significant suppliers for the Production of Biomass, which if Europe is expected to be the largest renewable aviation fuel market over the foreseeable future on account of huge investment in development and favorable environment regulations. The growing use of biofuels across the globe is one of the key factors spurring growth aviation fuel market. Countries are introducing mandates and policies to encourage the use of biofuels in the aviation industry to deal with the issue of greenhouse gas emissions (GHG). The U.S. military and commercial planes use a blend of Fischer-Tropsch (FT) and conventional fuel at significant extent. FT blended fuel was the leading market in 2013 owing to growing demand for defense planes. 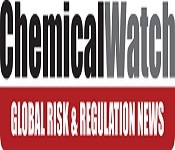 Hydrotreated jet fuel is also expected to witness significant growth over the forecast period. On the basis of application, renewable aviation fuel market has been segmented into commercial and defense. Commercial application segment is expected to be the largest market over the forecast period owing to sensitive conventional aviation fuel prices. The increase in the number of aircraft in the recent years and continued growth in the number of air passengers in the region are expected to contribute to the growth in the aviation fuel market in the Americas during the forecast period. 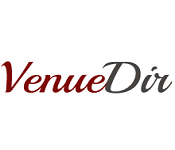 We welcome you, on behalf of the Organizing Committee, to this exemplary meeting with eminent scientists from different countries around the globe and sharing new and intriguing conclusions in Biofuels and Bioenergy production and usage, which will be held in Vienna from August 26-27, 2019. 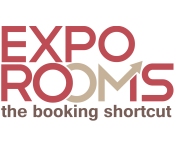 This inspiring and enlightening conference program including plenary lectures, symposia, workshops on a variety of topics, poster presentations and various programs for participants from all over the world. Thanks to all of our Organizing Committee members, honorable guests, wonderful speakers, conference attendees and Media partners. 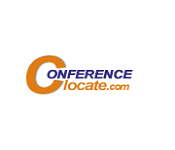 Conference series LLC LTD owes this success to all its participants for their valued efforts and help. 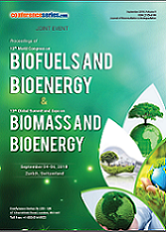 The 12th World congress on Biofuels and Bioenergy hosted by the Conference Series llc LTD was held during September 04-06, 2018 at Zurich, Switzerland with the theme “Disseminating energy solutions from nature on a global platform". Benevolent response and active participation was received from the scientists, engineers, researchers, students and leaders from the fields of Biofuels and Bioenergy, who made this event successful. 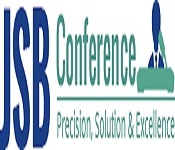 Conference Series llc LTD offers its heartfelt appreciation to Organizing Committee Members, adepts of field, various outside experts, company representatives and other eminent personalities who supported the conference by facilitating the discussion forums. Conference Series llc LTD also took privilege to felicitate the Organizing Committee Members who supported this event. 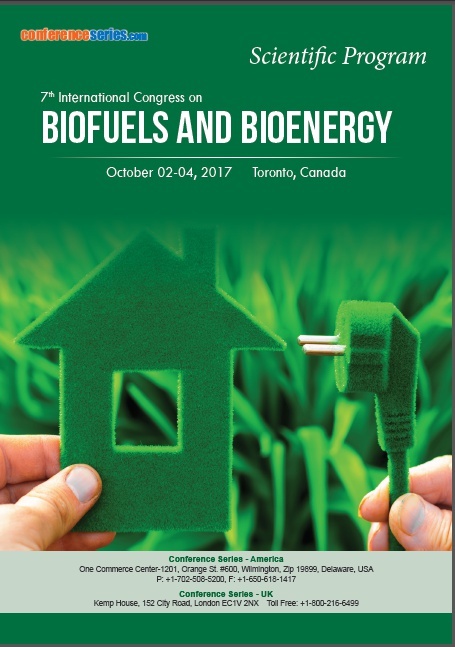 Thanks to all of our wonderful speakers and conference attendees, Biofuels Congress 2018 Conference was our best ever!! 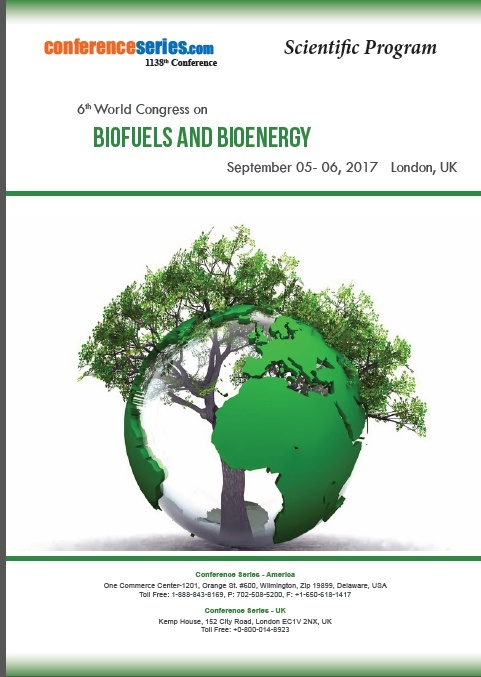 With the grand success of Biofuels Congress-2018, Conference Series llc LTD is proud to announce the "13th World Congress on Biofuels and Bioenergy" to be held during August 26-27, 2019 at Vienna, Austria.